The first publication to print my work was the Ottawa Citizen as part of its “High School Confidential” section. Nine of my articles were published from 1993 to 1994. 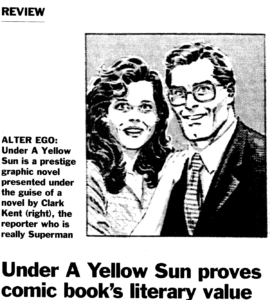 Two decades after writing this review of a Superman graphic novel, I took a course on writing comic books. To most of us, comic books are a medium best left to youngsters. Since their creation, comics have been very much maligned — both as children’s entertainment and as a form of literature. It is only recently that comics have proven to be popular to an “adult” audience — although loyal readers will tell you that this has been the case for quite some time. As recently reported by Michael D’Acosta here in the Citizen, “adult” is not meant in a lewd sense. It merely describes a mature readership that wishes to read thought-provoking and complex stories in a comic book format. Examples of these comics are such titles from DC’s Vertigo line as Sandman and Shade, The Changing Man, and independent titles such as Madman Comics. Of course, the majority of comic books are still Action/Adventure Super-Hero books, but there are also a few that fall in between. Superman has been at the forefront of the action titles for years, but interestingly enough, the Man of Steel recently appeared in a story that wasn’t just an “action/beat-the-villain” story. 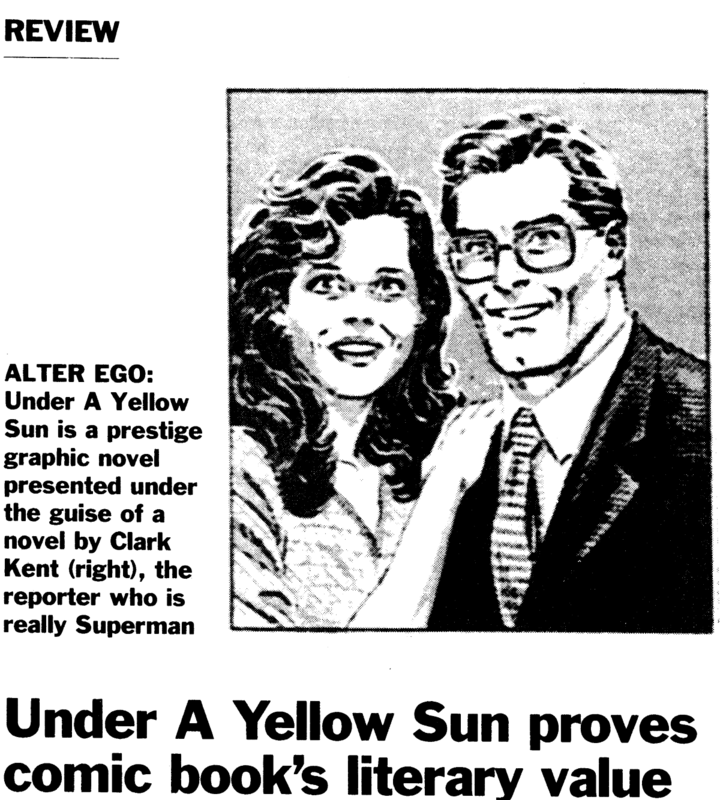 Entitled Under A Yellow Sun, this prestige graphic novel from DC Comics is presented under the guise of a novel by Clark Kent, reporter with the Daily Planet. Clark is desperately trying to finish his second novel, which his agent expects to be completed in a week. The story line of the novel concerns an ex-marine named David Guthrie, a man so desperate for work that he unknowingly takes a job working for a crooked businessman manipulating the politics of a small South American country. While Clark struggles to resolve his protagonist’s situation in the novel, he also faces difficult decisions on other fronts. As Superman, he has been doing his best to stop street gangs from terrorizing Metropolis. These street gangs have been discovered to be using some very sophisticated weaponry which can be traced to Lexcorp. Superman confronts Lex Luthor, but of course, Luthor feigns ignorance. As Clark becomes increasingly frustrated with both fiction and reality, he begins to question the values he was brought up with. What follows are the parallel stories of Guthrie and Superman as each tries to win their battles without sinking to the level of the enemy. Under A Yellow Sun should not be dismissed as just another super-hero comic aimed at kids. The story and the morality play presented contain universal concepts and values that can reach many people at different levels. It is the type of story that you can let your children read and hope they learn from. At the same time, the story can be enjoyed by an adult audience, and it will no doubt give them food for thought. 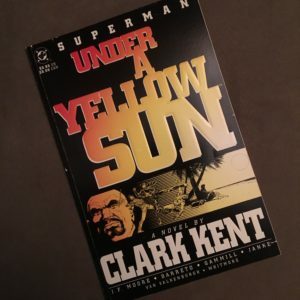 Under A Yellow Sun is a tale of significance, and it demonstrates that comic books are not always a corrupting influence on young people’s minds, and are in fact a legitimate form of literature. 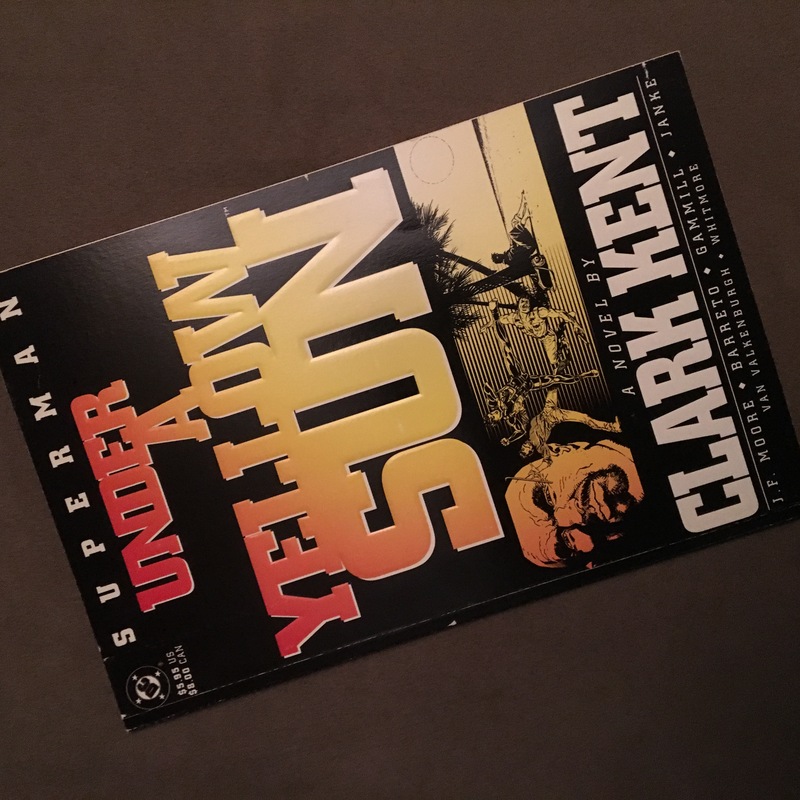 Written by John Francis Moore with art by Eduardo Barreto, Kerry Gammill and Dennis Janke, Under A Yellow Sun is available at comics specialty shops for $8 from DC Comics. Gary Hilson is entering first-year journalism at Algonquin College.